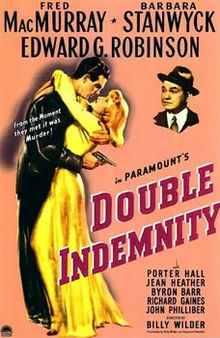 Yes, we’re still gushing about “Double Indemnity,” the film noir classic from 1944. Deal with it. Oh, and happy Valentine‘s weekend, btw! 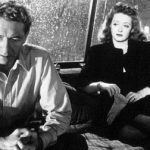 Billy Wilder‘s great prototype film noir turns 70 this year and yet it never gets old. 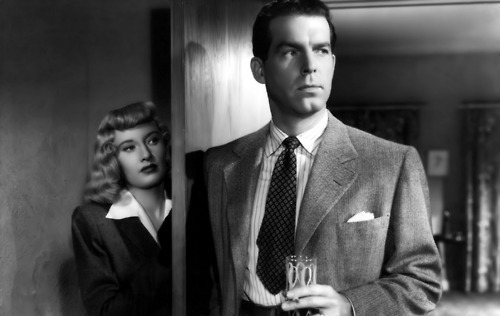 Starring Barbara Stanwyck, Fred MacMurray and Edward G. Robinson, the movie boasts a screenplay that Wilder co-wrote with Raymond Chandler, based on James M. Cain‘s novel, which was inspired by actual events.